Hula Hooping Keeps Me Sane | Kids in T.O. While the 20-somethings are rockin’ it out on dance floors across Toronto, I gathered with a group of girlfriends to get our hips pumping and bums shaking for a night out — hula hooping. It’s not just for kids. So says east end mom Amy MacCutchan, owner of HooperSonic, who picked up hula hooping as an adult six years ago. Now she offers an array of swirling – performances, demos and classes for kids and adults in TOw. Amy brought the hoops and tunes and had us eager beginners twisting and twirling with confidence and learning a few new tricks that will definitely impress our friends and family. It’s a work out. And there is always something new to learn. Amy teaches classes for all levels in studios across Toronto and in Newmarket. 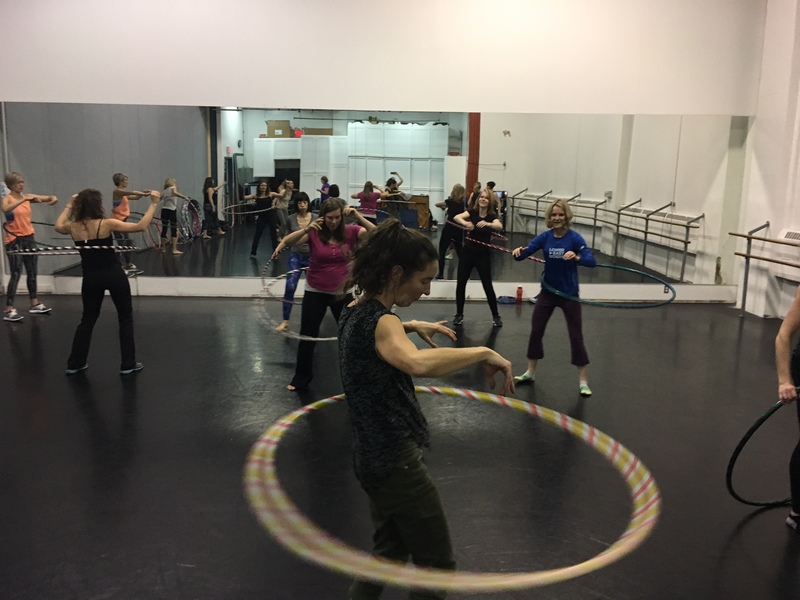 A six-week Hula Hoop 101 for Total Beginners starts on March 7, 2017 at the Circus Academy.